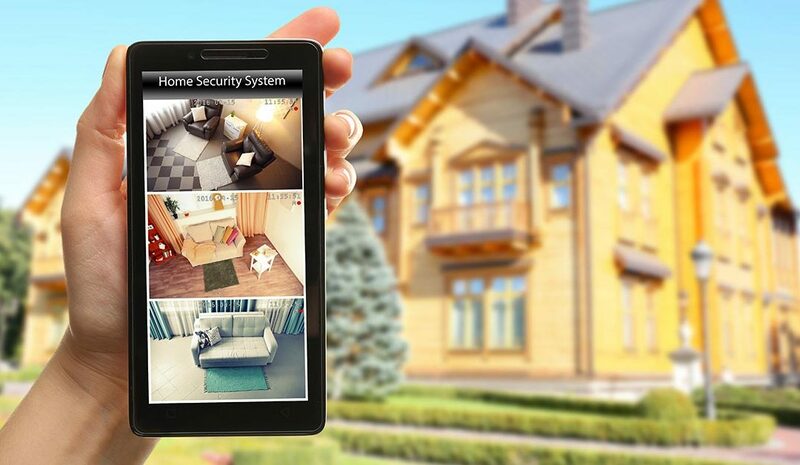 Consumers looking to save money often wonder if paying a monthly monitoring fee for their home alarm system is really necessary. The loud siren is enough of a deterrent against burglars, right? Not necessarily. Here are 5 reasons why monthly monitoring for your security system pays for itself. When your alarm goes off, the monitoring station will call two numbers from your contact list. If no one answers or the incorrect password is given, police are dispatched immediately. If you’re not home and the alarm is triggered, you rely on a neighbor calling the police for you. In this case you might not become aware that you’ve been robbed until you come home to find your belongings missing. If you have smoke detectors that are connected to your monitored alarm system, any smoke or fire will set them off. Just like when your security system is activated, the monitoring station will attempt to contact the phone numbers you have on file. If they’re unable to do so, the local fire department will be automatically dispatched. If you’re not monitored, you depend on a neighbor to call the fire department for you. But it might be too late! Some people advocate self-monitoring, where your system sends you notifications if the alarm is triggered, and it is up to you to monitor those signals and take action as necessary. But what if you’re not aware of those signals, like when you’re sleeping or out of cell range? In the case of self-monitoring, you’re out of luck if you’re unable to take action. But if your alarm is professionally monitored, the central station immediately takes action by dispatching police or the fire department if your first 2 contact numbers are unreachable. Did you know that having a monitored alarm system can lower your annual homeowner’s insurance bill by 10-20%? Florida has one of the highest premium averages in the U.S. at $171 per month. With the money you’ll save each month on your insurance, monitoring service nearly pays for itself! In addition to sending burglar and fire alarm signals, all monitored alarm systems send different types of communication signals to the central station. The central station generates a report listing all of these signals, which are looked over daily by our staff. Your alarm sends a weekly test signal, which ensures it is communicating properly without you having to test it yourself. Additionally, low battery and trouble signals are also sent, alerting you to a potential problem before you know it exists. This is the perfect way for landlords and owners of vacation homes to become aware of potential issues while they’re away from the property. All in all, a home security system is a valuable asset that will protect you and your family. Homes without an alarm system are 3 times more likely to be broken into than homes with one, and homes with monitored alarm systems are likely to suffer smaller losses than non-monitored homes. With the average loss experienced from a burglary around $2,000, every bit of money saved goes a long way.